I provide days out foraging for mushrooms and the occasional truffle hunt for a small amount of people that I am happy to share my truffle and mushroom knowledge with. 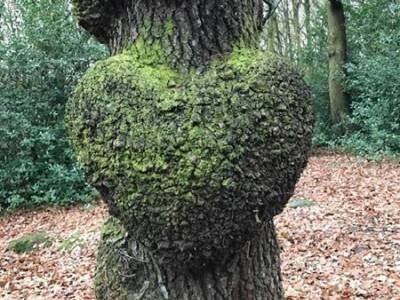 I will take you to places where I look myself with every chance of finding, because the soil, trees and environment is right, a special place! These places are always close to personal truffle or mushroom finds of my own to ensure genuine suitability and should potentially give rise to great things. I teach my clients about the ecological functions and roles that mushrooms play within our varied environments and practice sustainable harvesting with strict codes of conduct set out by the BMS. 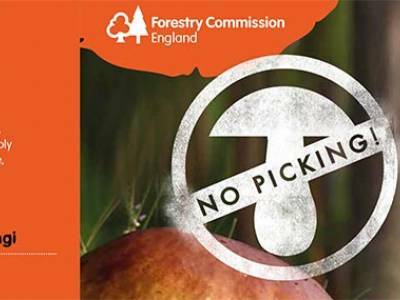 These guides are used by the National Trust and Forestry Commission whom both condone and support my forays and ethics. All my forays are licensed or have had consent from landowners. I will also point out what we should expect to find and give you handouts with photos. 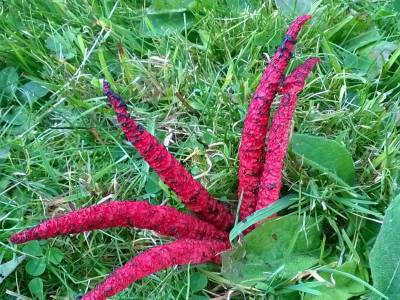 I will be showing you ways how to identify good edible species and especially the poisonous ones. 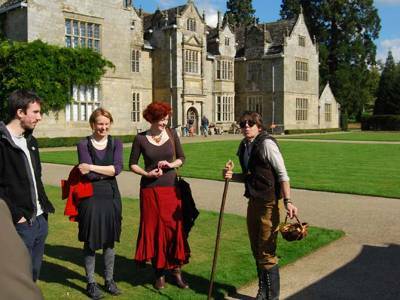 The foray will commence in the chosen spot and will include a lunch break, you will have to provide your own packed lunch and refreshments. These are needed as hunting and walking is thirsty and hungry work, I always pack a bar of chocolate and a flask of freshly ground black coffee, its an essential ! Hunting will continue until the early afternoon. By now we should have gathered a good sample of various edible mushrooms and it will be my job then to show you what they are, how to prepare them and finally cook them on site. On truffle hunts we will be hunting with my truffle hound Zebedee, this is none the less still a challenge and a real hunt, I will take you to areas where in my expertise I feel that we will have very good chances of finding, although it is not called hunting without a reason, I don’t always come home with black diamonds. Sometimes you do sometimes you don’t. It’s a bit like fishing! However it’s always a good day out with lots of truffle knowledge to be learnt and plenty of tips to be had to help you on your way to becoming a truffle hunter, although having a trained dog is an essential part of the kit! 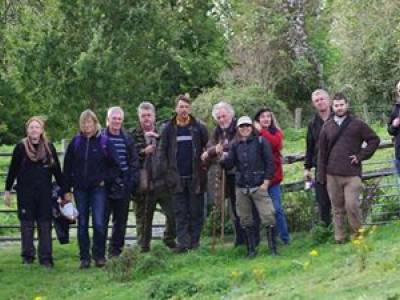 BOOK EARLY FOR ALL FORAYS AND HUNTS TO SECURE YOUR PLACES, GROUP MUSHROOM FORAYS ARE SMALL, MAX 15. TRUFFLE HUNTS MAX 10. Forays can also be arranged for weekdays if required. On the forays below we will also be looking for wild sorrel, dandelion, Jack in the hedge (Garlic mustard), cuckooflower for its edible young leaves, wild garlic and cleavers to make wonderful spring salad and of course St Georges mushrooms to put on a savoury hot cross bun to finish the day! Slaying any further fears about picking this mushroom and some wild herbs. I will show you how to make a wild garlic or garlic mustard pesto and tell you how to cook and preserve some of the mushrooms we pick. I will point out a few poisonous plants that like to grow among Wild garlic should you not be vigilant like Dogs Mercury, Bluebell leaves and Lords and Ladies and Hemlock Water Dropwart the latter deadly! Locations of all forays will be given a day or two before the event for many reasons but above all for sight suitability and only once deposits have been paid with terms and conditions that have been agreed to by clients. 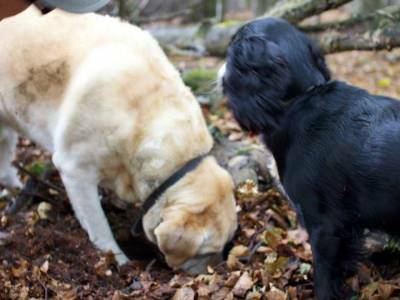 I will advise you on how to search for truffles sustainably, with codes of conduct and with care for the environment I will show you what soil and trees they like, where to look and some tale tale signs what to look out for to get you going. I will ask you to smell the soil and read the woods, a unique and grounding experience. 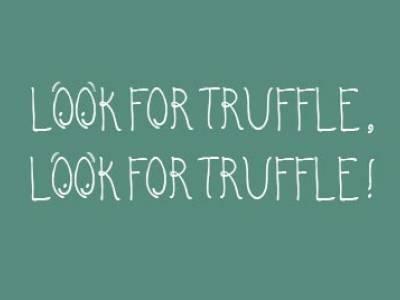 I teach about their ecology and what they do for our environment and how good they are to eat and I will show you how to prepare our finds to get the best from the delicate but sophisticated aromas our little truffles have to offer! This foray will be focused on finding mushrooms from the boletus family. I will show you how to prepare and cook them in an open on site rustic kitchen. This will be a general foray hoping to achieve a colourful basket of edible mushrooms at the end of the day. I will show you how to prepare and cook these for their best flavours to be appreciated; again this will all be done on site in an open kitchen in the woods! The location a secret, all will be revealed on the day, blindfolds will be provided! Not really! 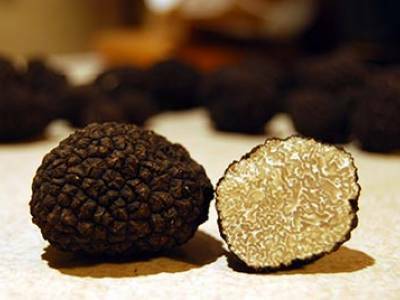 I will advise you on how to search for truffles, where to look and some tale, tale signs to look out for. This will be a general mushroom foray hoping to achieve a colourful basket of edible mushrooms and truffles at the end of the day. I will show you how to prepare and cook these for their best flavours to be appreciated, again this will all be done on site in an open kitchen in the woods! This foray will be focused on finding mushrooms from the boletus family but one in particular the penny bun, cep or better known by chefs as the porcini, a king of the mushroom world. I will show you how to prepare and cook them in an open on site rustic kitchen too, a little extra bonus for you all, as they are so special! This will be a general mushroom foray hoping to achieve a colourful basket of edible mushrooms and truffles at the end of the day. I will show you how to prepare and cook these for their best flavours to be appreciated; again this will all be done on site in an open kitchen in the woods! This will be a general mushroom foray hoping to achieve a colourful basket of edible mushrooms at the end of the day. I will show you how to prepare and cook these for their best flavours to be appreciated; again this will all be done on site in an open kitchen in the woods! As the season progresses, into winter the opportunity for other species of truffle to be found increases alongside T aestivum var uncinatum ie T brumale, T mecentericum, T rufum and Choiromyces are sometimes present so from a mycological point of view for those interested it can be very satisfying. It has been known for Zeb to find a very rare truffles, once one that was thought to be extinct but only through recent research and new records it has now been reinstated as a living organism. This will be a general foray hoping to achieve a colourful basket of edible mushrooms and truffles at the end of the day. I will show you how to prepare and cook these for their best flavours to be appreciated; again this will all be done on site in an open kitchen in the woods! More dates to follow season dependant. Truffle Forays will be available all weekends up until mid Jan maybe longer depending on the season, please feel free to book these days as they are not included in the above dates. You can call me on my mobile for any further questions or bookings 07896156664. 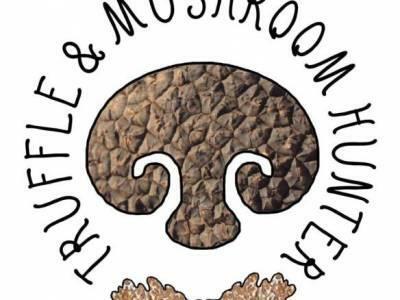 I charge £80.00 per person per mushroom foray and £100.00 per person for a truffle hunt, or mixed truffle and mushroom .Small groups only max ten so book early! Private mushroom and truffle forays can also be arranged at a minimum of £300 per day for two adults otherwise normal charges apply! Absolute rule ! No mushrooms are to be consumed without a professionals opinion first on any of my forays. All participants must be suitably dressed, long trousers preferably and boots. Raincoats and hats always advisable, a stick for poking about the under bracken, I have baskets, plastic bags are just not acceptable and destroy your finds. Refreshments i.e. water a must! 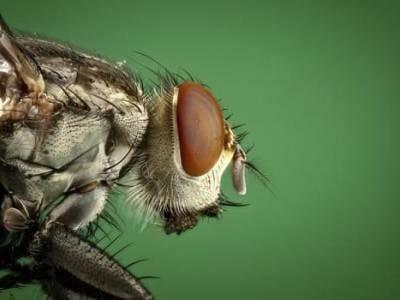 Insect spray too! Thanks for your message. Well that is easy to remedy, e mail me truetrufflesandmushrooms hotmail.co.uk and see what we can arrange. I am a local chef and would love to find out more about mushrooms and truffles and join you on a hunt. Hi George, yes I do. Please e mail me truetrufflesandmushrooms hotmail.co.uk and I will get you booked in. I'm away at the moment so forgive me for late reply. Hi! So happy I just discovered this. I know it's late. Prove but do you have two places for the 11th Dec by any chance? joanne please e mail me on truetrufflesandmushroom homail.co.uk or call 07896156664, thanks. 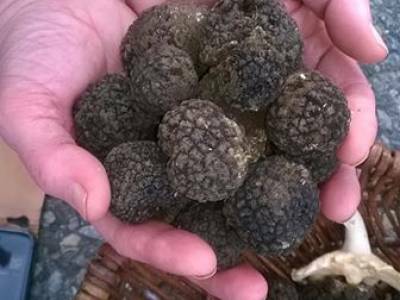 Not sure how to book a truffle hunt from your West Sussex outing also how much? Looking at the end of September. Have you got any dates for 2016 ?